About 6,912 distinct languages exist in the world today.1 The Bible says God confounded the language at Babel to separate the people and stop their advance into the heavens. Standard theories argue that languages change when people are separated, but the Bible teaches that people were separated at Babel because God miraculously changed the common language. So which story fits the facts? The miracle of Babel or gradual change? How did we get all these languages? Actually, separation does tend to produce differences. When people with a common language were separated by, say, an ocean for about 1,000 years, they ended up not being able to understand each other. The Scandinavians in Iceland cannot understand those who stayed in Europe. The English of Beowulf’s time—between AD 680 and 8003—is unintelligible to speakers of “modern English,” which is dated roughly from Shakespeare (1564–1616) and the King James Bible (1611). If we met Shakespeare today, we would understand him, but not folks from Beowulf’s time. Linguists can infer family relations between languages, and can partially reconstruct “protolanguages” and whole family trees. By comparing existing languages with the help of written records, we know that French and Spanish (also, Italian, Portuguese, and Romanian) come from Latin. Based on similarities as simple as the numbers un–uno, deux–dos, and trois–tres, we can see evidence of a common source language. But Chinese numbers do not resemble French, Spanish, or English much. The first three numbers in Chinese are yī, èr, sān. From evidences like this, linguists can infer family relations between languages, and can partially reconstruct “protolanguages” and whole family trees. Because languages naturally do change over time, linguists generally suppose that all of today’s languages were produced by changes that we see going on around us now. However, that explanation hits the wall, and fails, at the Tower of Babel. Secular theories fail to explain the many distinct language families throughout the world. 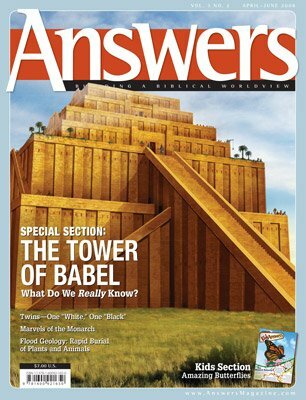 The biblical account of Babel is the only explanation that fits the data. The next most widely spoken language family is the Sino-Tibetan group, which includes Chinese. It is estimated to have about 403 distinct languages and accounts for about 22 percent of the world’s population. That language family, too, is believed to have come from a common source, but different from PIE. Neither of these distinct source languages, however, can reasonably be dated earlier than the miracle at Babel. Besides these two families, 92 other distinct language families are supposed to exist. There are two possible secular theories: (1) all these language groups (and their derived languages) came from a single original language, or (2) the language capacity must have evolved and expressed itself multiple times. Both ideas have been advocated by secular linguists, but current knowledge refutes both possibilities. The theory that any language could arise by chance has been refuted logically and mathematically.5 The idea that the language capacity could come about by chance more than once is even less likely than its evolving accidentally just once. No one has shown how language families as different as Proto-Indo-European and Proto-Sino-Tibetan could derive from a common source. The same holds for the other 92 families insofar as they have been studied. Because God does all things well, nothing half-heartedly or without complete effectiveness, the languages created at Babel will almost certainly turn out to be radically distinct from each other. That is what the current evidence already suggests. Plenty of time has passed since Babel for the original language families to branch into all of the 6,912 known languages. For example, Proto-Indo-European is known to have split into the 449 Indo-European languages of today since approximately the time of Babel. The rate of change of known subgroups—notably those based on Latin, Sanskrit, Greek, and the Germanic and Slavic languages—shows that the whole number of languages in the world today could easily have been produced within a space of 4,000 years. Is this a problem for secular linguists who supposed that all the languages evolved from a single source language? You bet. Probably future study will enable linguists to reduce the 94 language families currently under study to a smaller number. However—setting aside baseless attempts to arbitrarily force distinct languages and whole families together—the biblical account of Babel is the only explanation that fits the data. Also, we can make a testable prediction: the number of families will be reduced in the future to no fewer than the groups named in Genesis 10 where the Table of Nations appears. That list is by far the best one in existence; and the facts, as far as we know them, are consistent with the Bible. Enemies of the Bible have especially made sport of this part of the biblical narrative. They have supposed that all the diversity of the languages of the earth can be explained by gradual change. If the Darwinian idea were correct, we should expect a very different picture than the one we have. There should be many languages differing very slightly from each other stretching right across every continent and around the globe. Further, the 94 language families presently on record should be reducible to just one. But claims for a single original language are not supported by the existing facts. All this points us to a deeper question. Why is language an integral part of every community on earth? Even the most primitive cultures in the world have complex language systems with abstract ideas such as zero, infinity, numbers, negation (“men are not immortal”), conjunction (“he made the sheep and the goats”), and disjunction (“he took the horse but left the camel”). Even a three-year-old can perform complex mental gymnastics with language, like those just illustrated. For instance, children delight in “pragmatic recursion”—commenting on a comment on a comment, or hearing a story about a story that includes another story, or drawing a picture of a picture of a picture. At an early age children grasp the importance of using different words for distinct meanings. My daughter Laura, at the tender age of three, once seemed uncharacteristically stubborn, refusing twice to hand me a pencil. I was shocked and insisted. At the third request, she suddenly sobbed, “But it’s not a pencil, Daddy! It’s a pen.” I still get a little teary when I think about the lessons of that day. She had made a reasonable objection to my word usage, not my request. From Genesis to Revelation, the Bible shows us that God created the universe, sustains it, and has redeemed all who will believe, by the power of His Word. That power, according to the Bible, resides in the language capacity. It is the one and only unmistakable signature of God in us. Darwin wrote in a private letter that the human eye gave him a “cold shudder.”6 But language is vastly more complex than the eye. If Darwin had taken the time to consider his own language capacity, would he have proposed his materialistic theory of origins? Jean Piaget—perhaps the most respected psychologist of the twentieth century—told of a conversation with Einstein, who commented to Piaget that psychology is more difficult than physics. Why? Because, as Einstein made clear in other writings, without language there could be no study of physics.7 We could not ask about origins of any kind. A child could not wonder where God was before the world was made, and the great questions of science and religion could never be asked. There could be no theories of origins. Language certainly is at least as complex as anything represented by it. The capacity of all human infants to acquire something so complex demands an explanation. But that question will have to wait for the next issue. 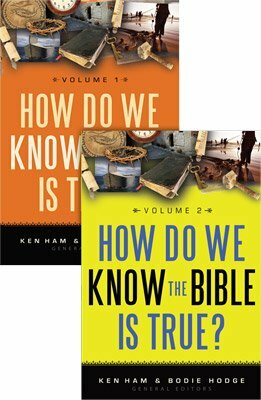 The most authoritative source for this information is www.ethnologue.com, which sums up the work of Bible translators along with many other linguists who have devoted their lives to the study of language and languages. Also see Raymond G. Gordon, Jr., ed. Ethnologue: Languages of the World, 15th ed. (Dallas, Texas: SIL International, 2005). For this quote from Shaw see www.quotationspage.com/quote/897.html. For a discussion of the dating of the epic poem Beowulf see http://penelope.uchicago.edu/~grout/encyclopaedia_romana/britannia/anglo-saxon/beowulf/date.html. In fact, the time of the breakup of PIE is much disputed and, like the history of other language families, unknown. However, we know that the split of Latin into the various Roman-based (Romance or Latin-based) languages occurred quite rapidly, as did the split of all the Slavic and Germanic languages. Language change can be so dramatic and so fast that dialects that lose contact with each other can become mutually unintelligible within about 1,000 years. See J. Oller, “Languages and Genes: Can They Be Built Up through Random Change and Natural Selection?” Psychology and Theology 30 (2002): 26–40. In a letter to Asa Gray just one year after The Origin of Species first appeared in 1859, Darwin wrote, “The eye to this day gives me a cold shudder.” See Francis Darwin, ed., The Life and Letters of Charles Darwin, 3 vols. (London: John Murray, 1888), p. 373. See A. Einstein, Physics and Reality (1936). Reprinted in Out of My Later Years (Secaucus, New Jersey: Citadel), pp. 59–96.